Belize. Your New Home. 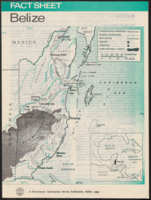 / Belice. Su Nuevo Hogar. The BluePrint for our Future. Believe in Belize. BluePrint. Manifesto of the Peoples' United Party, 2008-2013. 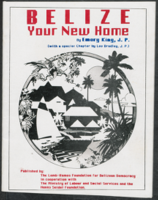 Believe in Belize. The National Symbols of Belize, Caribbean Jewel in Central America. 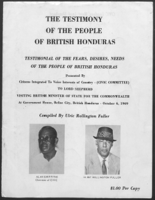 The Testimony of the People of British Honduras: Testimonial of the Fears, Desires, Needs of the People of British Honduras. 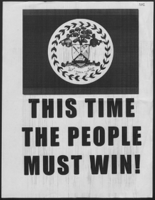 This Time The People Must Win!